You may sometimes have the need to approve a product before allowing the customer to purchase it. To do this, you will need enable the Approval Required product option. To get started, you will need to create an email template needs to approve the order. 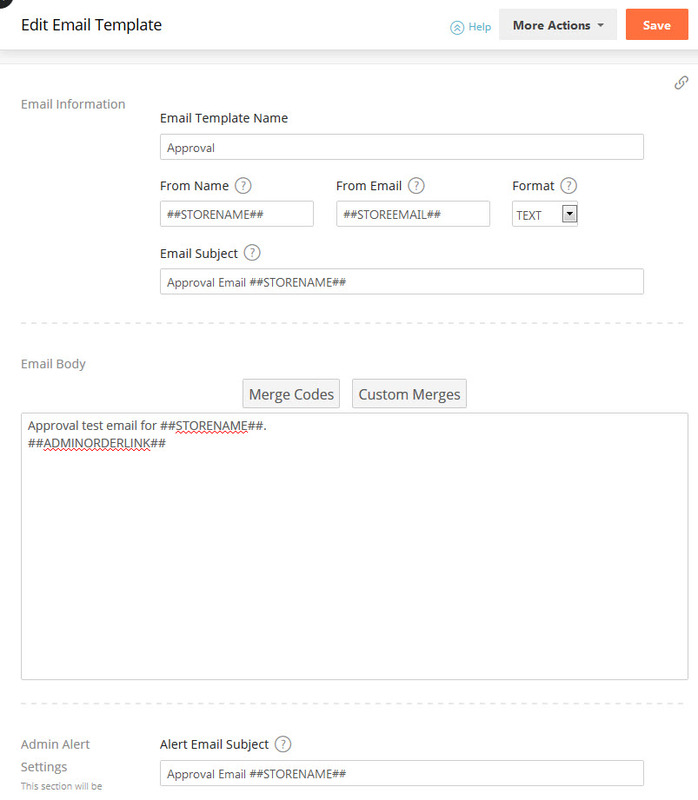 Once the template has been created, the email template must contain the merge code ##ADMINORDERLINK##. This merge code sends the admin a link to the order. You'll want to set this in the bottom section of the email template, in the Admin alert settings. The next step is to create two new order statuses.The two statuses will be ‘Approval Required’ and ‘Approval Granted’. 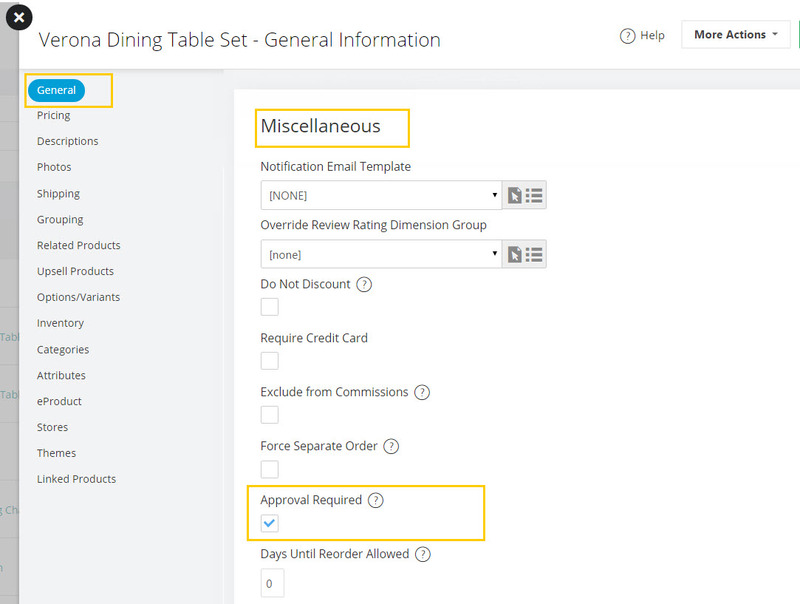 Using the steps you just learned, you can also set the 'Approval Granted' status to send the customer an email letting them know that the approval has been granted. 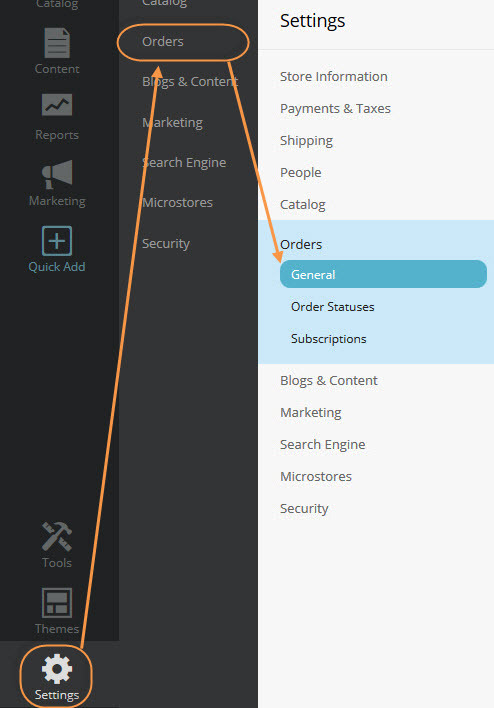 After those statuses are created, go to Settings > Orders > General, and scroll to the bottom options on the page. Here you will need to assign the approval required and the approval granted status in the appropriate drop downs on the bottom of this page. The ‘Approval Required’ status needs to have the email template that was set up previously attached to it. To complete the setup, there is one final step that is needed. Choose a product from your catalog that you wish to assign approval required to and click the ‘edit’ button. Once inside the product editor, scroll down until you see the ‘Miscellaneous’ section. 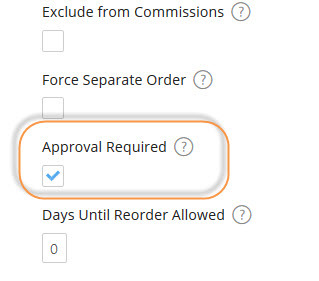 In this section, you will see the ‘Approval Required’ check box, check it and make sure to press save at the top of the page. 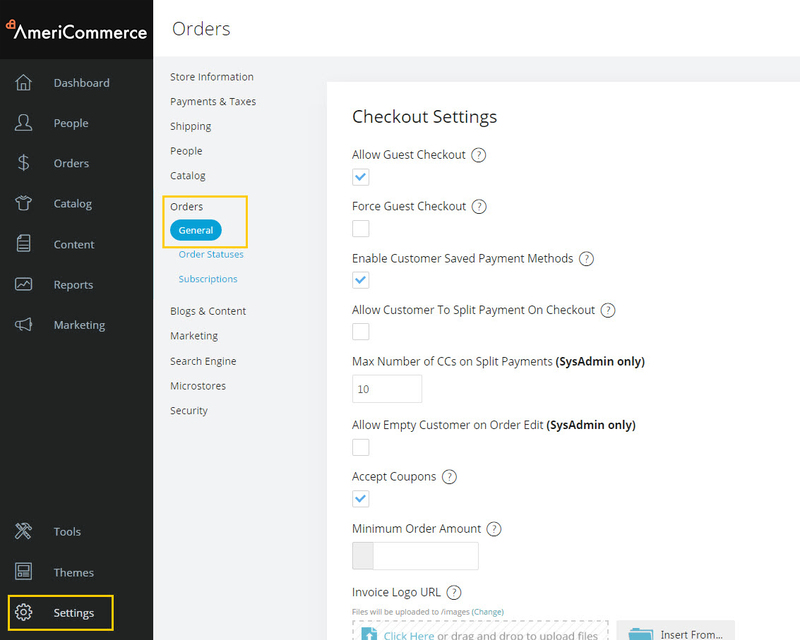 Now, when a customer places an order with that product, an email will be sent to the admin with a link to that specific order. Approval from the merchant will now be required for orders placed containing items with this flag. Items marked with this flag can be added to the cart and checkout completed, but the order status will be set to ‘Approval Required’. The admin must manually approve the order and process it along with changing the status.